Chopin has such a strong grip on our imagination as the quintessential composer for the piano that we tend to forget the other aspects of his creative genius. This concert explores his chamber works, which include the magnificent Sonata for Cello and Piano, op. 65, as well as lesser known pieces such as the Rondo for two pianos, the Piano Trio op. 8, and the Variations for Flute and Piano on a theme from Rossini’s La Cenerentola. Featuring music written within the circle of Robert and Clara Schumann, Brahms, Joachim and Dietrich, this production highlights the coded messages that the composers incorporated into their music in order to communicate to one another their deepest feelings. Among the works featured are the F.A.E. Sonata (a joint project of Brahms, Schumann and Dietrich), early lieder by Brahms and works by Josef Joachim and Clara Schumann. The development of the Symbolist movement in France at the end of the 19th century, which soon spread throughout Europe, represented a turning point in the conception of art, poetry and music. Music was a central feature of the Symbolist aesthetics. This program presents musical works directly linked to this movement and features the poetry of Baudelaire, Verlaine, Rimbaud and Mallarmé. Among the works included are songs by Debussy, Fauré, Ravel and Duparc highlighting different settings of select Symbolist poems; the original version of Debussy’s Syrinx for flute and declamation; and instrumental works including Debussy’s Piano Trio. 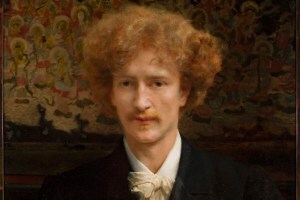 Focusing on the years that Paderewski spent in Paris in the late 1880′s and early 1890′s, this program highlights his connections with French musicians and artists and the important role of the Parisian salons in launching Paderewski’s international career. Among the works in the program are Paderewski’s Violin Sonata and Saint-Saëns’s Polonaise for two pianos, a work that he dedicated to Paderewski and with whom he gave the premiere. The love between Robert Schumann and Clara Wieck is one of the most endearing and inspiring stories in the history of Western music. Their courtship and marriage will be chronicled in a program featuring songs by Robert and Clara, Clara’s magnificent Piano Trio and the slow movement of her Piano Concerto; and Robert’s Frauenliebe und Leben, among other works.